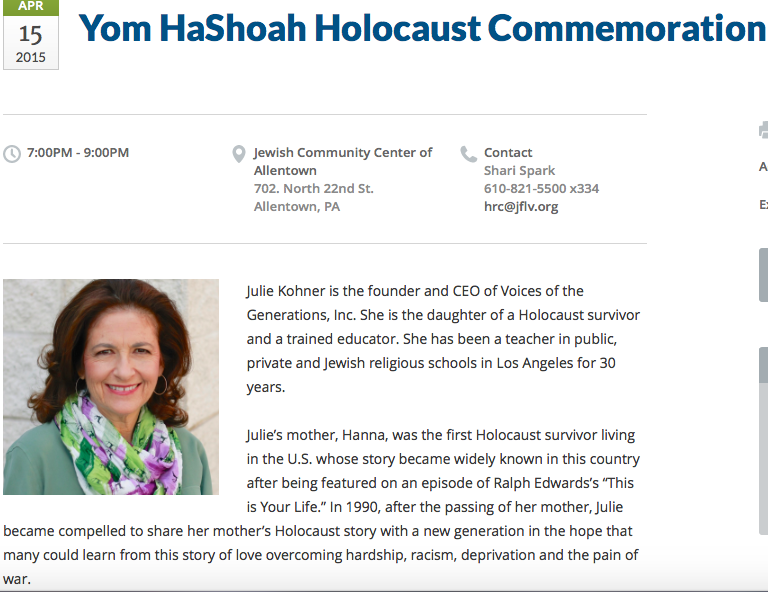 The Yom HaShoah Holocaust Commemoration guest speaker at the Lehigh Valley Jewish Federation in Allentown, PA will be Julie Kohner on April 15. Julie will also speak on April 16 at Brunch & Learn: Echoes of the Past. 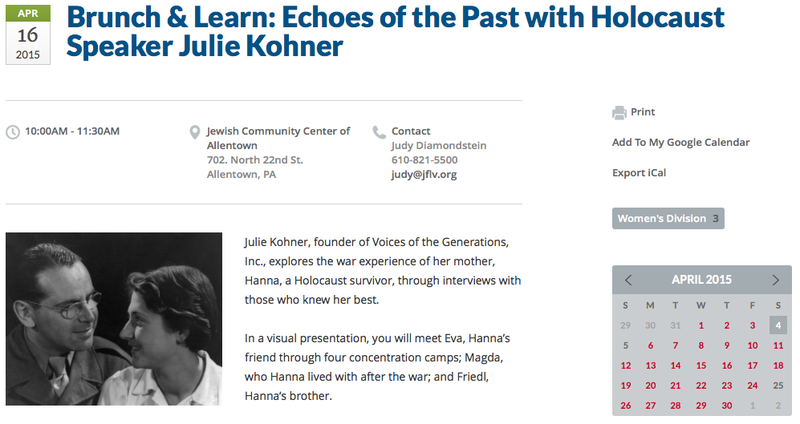 Both presentations will be presented at the Jewish Community Center of Allentown 702. North 22nd St. Allentown, PA.